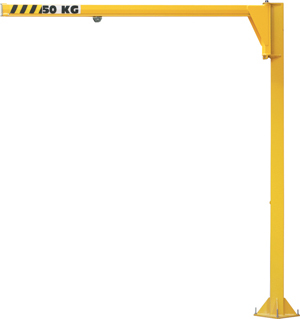 The jib crane PMICL is reserved for an indoor use and built with a hollow section, PMICL allows 270° rotation. This jib crane cannot be motorized. Floor fixing is achieved by chemical anchors only.